Jessica Brody, author of Boys of Summer and Unremembered, brings YA audiences a novel about rekindled love, unconventional family situations, and a classic romantic road trip. Telling the story of a young girl who is set on taking back control of her life with the help of an unlikely companion, Brody speaks to the pain of loss, the uncertainty of the past, and the hope that remains in between. The Geography of Lost Things may not be as deep or as emotionally impactful as many young adult romances, but it still provides escape and an enjoyable romance that young adult female audiences especially are certain to enjoy. Ali’s life is continuously uncertain. With little to no money, an absent father, and another move on the way, Ali just wants something to hold on to. But when her father dies and leaves her his 1968 Firebird, Ali finds a way to save her slowly crumbling existence: sell the car and save both herself and her mother. But as life often does, Ali is thrust into uncertain territory when she has to ask her ex-boyfriend to accompany her on a roadtrip to sell the car. With the boy she once loved by her side and the memories of her dead father being sold, Ali’s life is completely up in the air — in all the best and worst ways possible. With miles ahead and a drive full of unexpected adventure, Ali must face the boy she cares for, the father who left her, and the life she so desperately wants to save. Road trip novels are not a favorite of mine. The YA genre has had plenty: Paper Towns, Mosquitoland, and Let’s Get Lost to name a few. 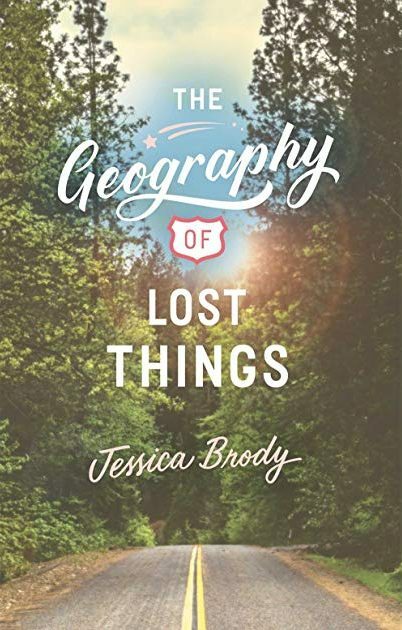 And while The Geography of Lost Things did remain cliche on a number of occasions and almost too sugary sweet and predictable, Brody provides surprisingly deep characterization that I was very impressed by. The book’s romantic moments felt a bit forced, but Ali’s relationship with her father was very interesting to me and added a large amount of depth and complexity to a seemingly shallow romance. I was pleasantly surprised by this book and found the grittier, more realistic aspects to be both captivating and relatable. Ultimately, Brody sticks to many of the norms of young adult literature but still represents complex teen emotion — in between rekindled romance and roadmaps, of course. The Geography of Lost Things may not be the most original book written in recent years, but it does still speak to important topics that teens will care about: love, loss, death, hope, and living your best life. This book was a fun, fluffy read that ultimately uplifts and will certainly leave a smile on the faces of readers both young and old. Ali’s life seems to be leading her down winding roads, yet with a second chance at love and an escape from her mundane life, she just might find everything she has been looking for.